Times are hard for dreamers. 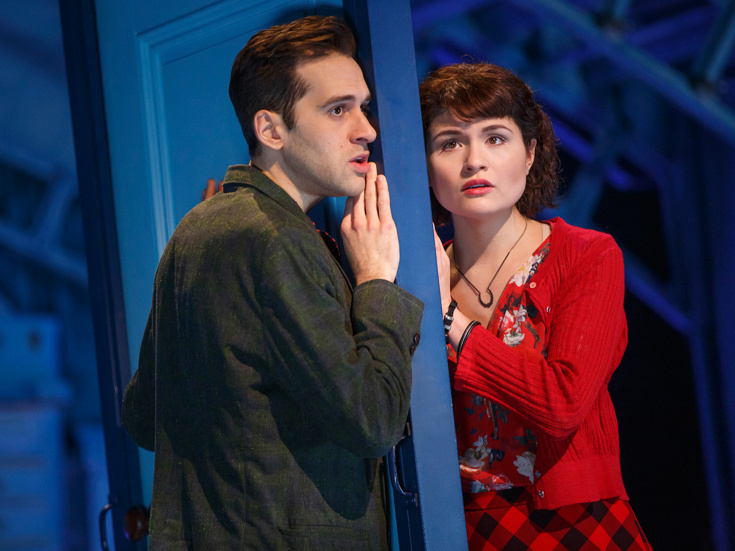 The fantastical new musical Amélie, based on the Oscar-nominated film of the same name, will close at Broadway’s Walter Kerr Theatre on May 21. By closing, Amélie will have played 27 previews and 56 regular performances. Amélie began previews on March 9 and opened on April 3. In a season packed with 13 new musicals, Amélie received no Tony Award nominations on May 2. "It has been an honor and privilege to work with the brilliant, talented team of writers, actors and creatives who have brought Amélie to life for the past two years, from Berkeley Rep, to Center Theatre Group, to Broadway. We’d like to express our gratitude to all of them, as well as the audiences who have shared the experience with them and with us," said the show's producers. Phillipa Soo leads the cast in the title role, with Adam Chanler-Berat as Nino, Manoel Felciano as Raphael/Bretodeau and Tony Sheldon as Collignon/Dufayel. The cast also includes Emily Afton, David Andino, Audrey Bennett, Randy Blair, Heath Calvert, Alison Cimmet, Savvy Crawford, Trey Ellett, Harriett D. Foy, Alyse Alan Louis, Maria-Christina Oliveras, Destinee Rea, Jacob Keith Watson and Paul Whitty. With a book by Craig Lucas, music by Daniel Messé and lyrics by Messé and Nathan Tysen, Amélie is directed by Pam MacKinnon. Amélie focuses on an extraordinary young woman who lives quietly in the world, but loudly in her mind. She covertly improvises small but surprising acts of kindness that bring joy and mayhem. But when a chance at love comes her way, she realizes that to find happiness she’ll have to risk everything and say what’s in her heart. Amélie played two out-of-town tryouts, at San Francisco's Berkeley Rep (headlined by Samantha Barks) and Los Angeles' Ahmanson Theatre at Center Theatre Group. The original Broadway cast recording for Amélie will be released by Warner Music Group, available digitally on May 19 and in stores on June 9. The album is now available for pre-order.